Polycom Communicator C100 - S gives you the ultimate hands-free Skype experience. Enjoy the ultimate hands-free calling experience from your PC with Polycom Communicator C100. 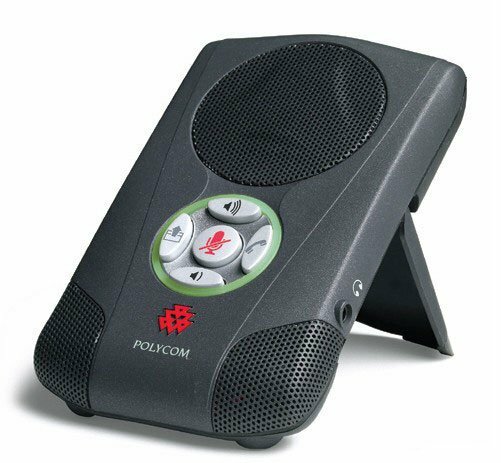 Based on the same technology used in the legendary Polycom line of triangular SoundStation conference phones, Polycom Communicator C100 enables crystal-clear, natural conversations without echoes or feedback. Enjoy the freedom of not wearing your headset for hands-free calls, or plug into the built-in stereo headphone port for private conversations. The Polycom 2200-44040-001 is also known as POL-220044040001	or 220044040001	.